Fleets including local authorities, public sector organisations and distribution firms have secured recognition for their work in advancing ultra low emission vehicle take-up at this year’s Fleet Heroes Awards. Announced last night (27 November) at a prestigious event at the De Vere Grand Connaught Rooms in central London, hosted by motoring broadcaster Amanda Stretton, this year’s awards – run by the Energy Saving Trust and now in their 13th year – saw nine trophies up for grabs. 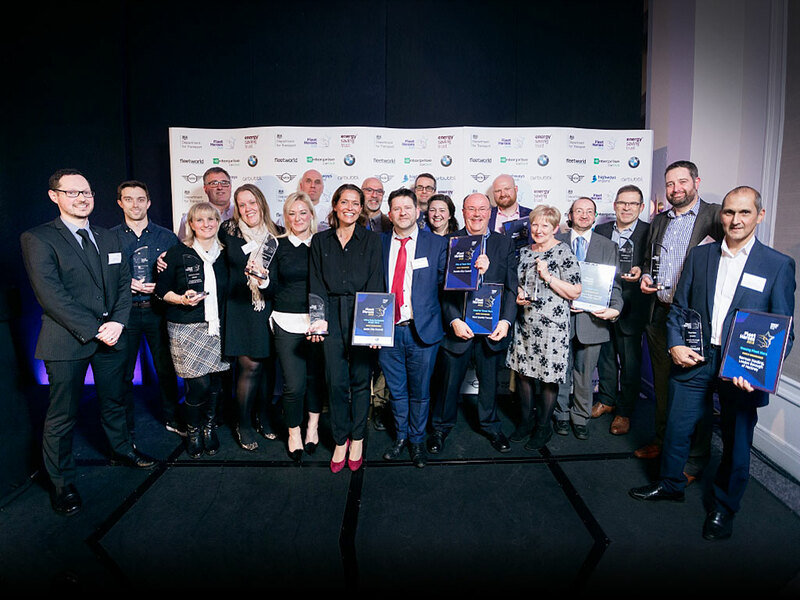 This included the Fleet Hero accolade, sponsored by Fleet World as media partner, which went to the London Borough of Hackney, while the Unsung Fleet Hero title went to Fraser Crichton of Dundee City Council – marking the first Scottish win. Yesterday’s event also included the Fleet Heroes Conference, which was held prior to the awards and featured expert speakers such as Caroline Sandall from ESE Consulting – who said company cars are still vital but fleets need to have data across the mobility spectrum. Other speakers included the Department for Transport’s Bob Moran – deputy director, head of environment strategy; Innovate UK’s Mark Thompson; Enterprise Rent-A-Car’s Oz Choudri; Mini UK’s David George and UK Power Network’s Ian Cameron. Commenting on the awards, Matthew Eastwood, head of transport at the Energy Saving Trust, said: “In this pivotal year for zero emission vehicles which has seen the publication of the Government’s ambitious Road to Zero Strategy, and Birmingham playing host the world’s first international Zero Emission Vehicle Summit, the 13th Fleet Heroes Awards & Conference highlights the extent to which zero emission vehicles are becoming more and more widely adopted into fleet operations, as well as what further innovative developments can be expected over the next five years. Roads Minister Jesse Norman said: “Congratulations to all of this year’s winners, who have made an impressive commitment to using zero emissions vehicles. For the full list of winners, click here.